Earlier this year I shared this post on how to make money with Google Adsense since then I still receive many questions from bloggers on how to increase your earnings and I have also discovered a few tricks to increase my own since then which I will be sharing with you today. 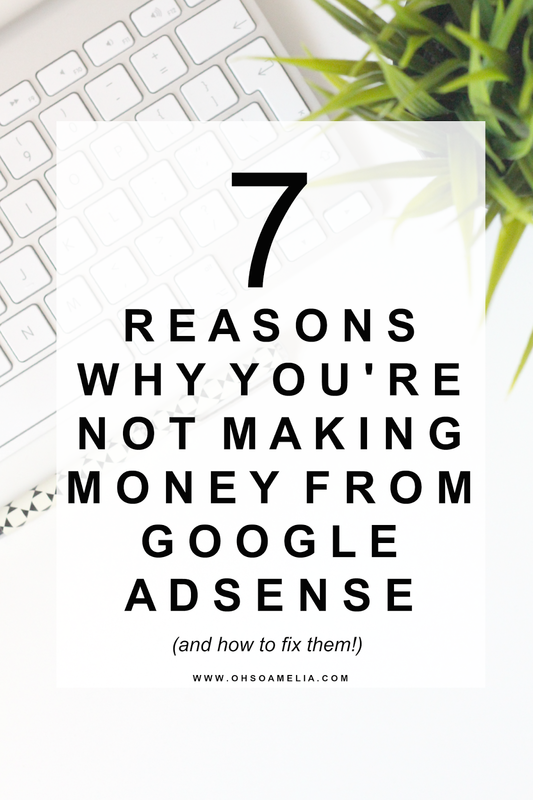 Here are 5 reasons why you're not making money from Adsense and how you can fix them! Most bloggers assume you need high traffic to make anything from Google Adsense. Now don't get me wrong, yes if you have 100,000s of page views a month you will earn a decent amount from adsense but that's not to say that if you receive a lot less that you can't earn through adsense as that most definitely isn't true! When I first installed adsense back in 2012 when I first started blogging. My traffic was less than 100,000 page views a month and I still made £1 a day here and there and other days I made pennies which I was quite pleased with as my blog was basically making money as I slept. Fast forward three years and I now earn over £100 a month from Google Adsense however my traffic isn't exactly what I would say huge compared to bigger bloggers who most likely earn well over £500 a month from it. Yes in theory good traffic, we're talking around 250,000+ page views (Google analytics not blogger page views!) a month will allow you earn a decent amount each month but for smaller bloggers fear not there are still things to do which can increase your chances of getting clicks! So if traffic is your downfall then you should look at ways to increase traffic to your blog! Did you know that where and how you place your ads makes a whole lot of difference between earning pennies and pounds a day? I didn't either until I decided to play around with them one day and noticed they received more clicks and revenue than previously. Ensure you have at least one ad showing above the fold. Above the fold is the first thing people see when they land on your blog without having to scroll down, for example everything you see in this image below is above the fold. As you can see I have a 'Leaderboard' banner displaying an ad for F&F and you can see half of the one in my sidebar which should probably be slightly higher if I'm honest but it does still receive a high amount of clicks as it's the first thing people will see as they scroll down on my sidebar. Place you ads close to things people are most likely to click on, for example your menu bar, category images, social media buttons. Just by placing them in the right places you can double your Adsense income! There are tools which you can use to observe where people are clicking the most to such an Googles placement heat map or installing a heat map on your blog to see where to place your ads. TIP: If you link your adsense account to Google Analytics and go to Behaviour >> Landing pages and click on adsense and then select your dates. This will then bring up a report telling you which posts are your top earning posts which is great if you have ads placed in them and how much you have earned from each of them. By looking at this data you can then see what type of posts you should be posting more of and what type of posts you should be posting less of which isn't as popular. One reason you may not be making money from adsense is because you have too many irrelevant ads and they aren't matching your blog at all. These irrelevant ads then stick out and look like ads compared to ones which match a readers searches for example if they're been looking at buying kids toys all day and an ad pops up for Argos 3 for 2 sale, that would be relevant to that reader and they would be more likely to click on it. You may also have too many ads showing up from other sources or companies which don't actually pay out a lot in which case you need to block these sites from coming up on your blog! You can do this by going to "Allow & block ads" on your adsense dashboard and then typing in sites you don't wish to show up. For example Facebook, eBay, gambling sites, download sites and many other irrelevant ads. Also if you click on "General categories" and "Sensitive categories"you can then de-select any irrelevant topics which don't match your blog after all someone who has come to your blog to look at recipes isn't going to be interested in ads for veterinary courses. 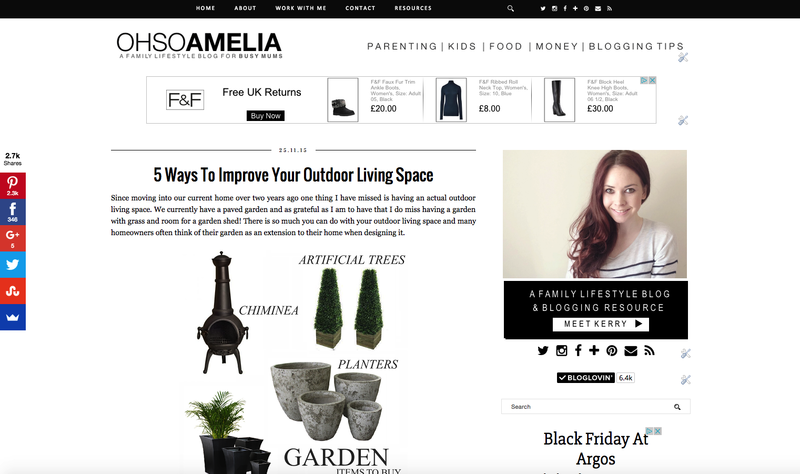 You know those blogs you land on and all you see is huge flashing banners on the header space, all down the sidebar, in between every post and at the footer of the blog. I'm sure you'll agree that they are pretty obvious that they are indeed advertisement banners and very off-putting! Many people myself included will leave a blog if all they can see if banners everywhere. Keep your ads to a minimum to optimise your potential revenue earnings from them. Have around 3-4 max on your blog for example the header, one at the top of your sidebar, maybe one at the bottom and one in your footer but most definitely don't have dozens of ads in your sidebar! Remember less is more! If your blog is running slow, your banners will load slowly also which will affect your adsense earnings. You can use this site to check your speed load time and find out how you can reduce it. Mine is pretty slow and always has been due to large images but I'm in the process of reducing these which I have noticed a difference in the loading time of my blog since. As well as placing your ads in the right place it's also important that they match the brand or colour scheme of your blog so they don't look like they were just randomly added anywhere to make some quick money! If you're using text ads use a custom text ad style and select your colours to match and complement your blog and you can use it throughout your adsense ads in future when ever you create a new ad. Choose an ad style that is easy for your readers to read. You're blogging about everything under the sun which means you're attracting everyone to your blog and Google isn't sure what ads to display at all. Try and narrow your niche as much as possible to target a specific audience who all share the same kind of interests. This way your ads will be more targeted and appealing to your readers. If you run a food blog your ads will be more relevant to everyone who lands on your blog rather than if you blog about anything and everything. Of course Google tends to only display ads which are relevant to the reader however in some cases other ads slip through which may be completely un-relevant to them which is loosing you out on money. So there you have it, those are my top reasons why you're not making money from adsense. Hopefully you find them useful and soon notice a difference in your adsense income over the next few months. If you're looking for other ways to make money from your blog check out "10 ways to make money blogging" and my October earnings report to get an idea of how you can earn from your blog. Do you already implement the above tips? If not, I'd love to know if you found any of them useful! Does Adsense work well for you? Do you have any other tips to share? I've finally been accepted to adsense but I just can't manage to get it set up! It's driving me mad! Oh maybe I should look at putting Adsense on my blog. I just don't think I have the right layout for it....big decisions though any extra pennies a month will be gratefully received! Could you write tips on how to use Google adsense I would like to earn money but I am not keen on affiliate programs . These are really good tips and thanks for writing them, I do not exactly have the highest page views but I always wondered why I hardly made any money from adsense. Thanks for the tips Kerry! This is super handy! Going to go look at my blogs layout today and see what I can change. Thanks for such helpful post! I like your tips, and I'll follow you, you write interesting content! 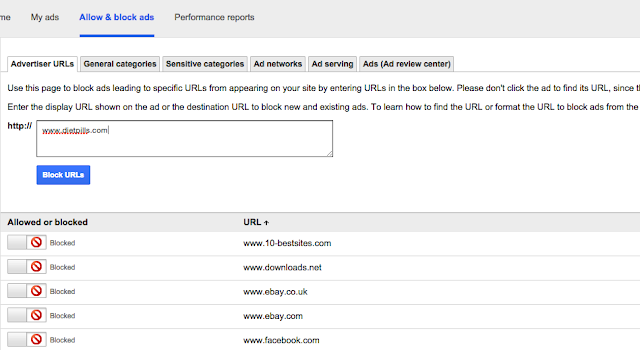 I am looking solution which can detect ad blocker extension because day to day my Adsense earning decrease.. If you know any good plugin which can do for me please suggest..
Did you even read the post??? Thats the whole point of this post, it's for bloggers to increase their google adsense earnings! sprei anti air needs to try this suggestion. Believe me running a shopping comparison website make more money than the AdSense. Do you think it is a bad idea to make money with both? Such a great post Oh So Amelia. I learn lot's of things just by reading your article and i noticed that i have bad ads placement. so finally i got it how to place ads and lots of new things. These are Really Great tips and helpful one.I would like to thank you for such a great and helpful tips. I've been with adsense since 2005 and done all of these things and still only make about a dollar a day. I have thousands of pages on 9 different websites. I have Adsense Auto Ads on them and still...a dollar a day. I put new webpages up every single day..got any more suggestions? I had been very encouraged to find this website. I desired to thanks with this special study. I certainly savored every the idea and I've you bookmarked to look at new things you write.